The Coalition’s ‘reformed’ NHS has been spending a fortune on re-hiring managers it had previously given large redundancy payments – while Jeremy Hunt has been telling us there is no money to give nurses a pay rise. Tory health minister Dan Poulter (the Health Secretary himself was nowhere to be heard) had to admit that 3,950 staff whose jobs were made redundant after May 2010 have since been hired back, in response to a Parliamentary question from Labour’s Julie Hilling. The figures cover a period up to November last year, so the true number may be even more. These are managers who received large payoffs as part of the £3-4 billion ‘restructuring’ of the National Health Service that began before Andrew Lansley’s Health and Social Care Act was passed by Parliament. 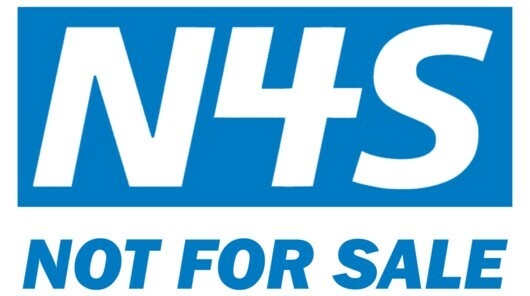 The aim, as revealed in Nicholas Timmins’ Never Again: The Story of the Health and Social Care Act 2012, was defined by Oliver Letwin as “encouraging staff to quit public sector employment while selling their services back through social enterprise”. In other words, after losing their jobs in the ‘old’ NHS – and receiving large redundancy settlements for the inconvenience – managers were to be re-hired at high cost to the ‘new’ NHS. Shadow Health Secretary Andy Burnham had this to say: “It’s clear that people who received payoffs are now coming back to the NHS in ever greater numbers. We need to know whether the Prime Minister has honoured his promise to recover redundancy payments from people who have been re-employed by his new organisations. He pointed out: “It will be utterly galling for nurses who’ve just had a pay cut from David Cameron to see he’s been handing out cheques like confetti to people who have now been rehired. Vox Political always needs life support. Andy Burnham, Shadow Health Secretary: He’d rather listen to real doctors than spin doctors. The title of this article should seem brutally ironic, considering that the Coalition government famously ‘paused’ the passage of the hugely controversial Health and Social Care Act through Parliament in order to perform a ‘listening exercise’ and get the views of the public. 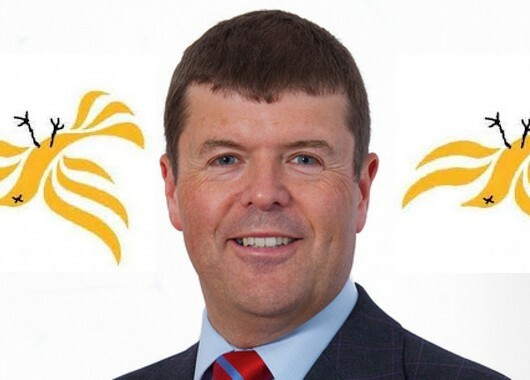 … Then again, maybe not – as the Tories (with the Liberal Democrats trailing behind like puppies) went on to do exactly what they originally wanted, anyway. From the wording that won the vote, you would think there was nothing wrong with the health service at all – and you would be totally mistaken. But this indicates the sort of cuckooland where the Coalition government wants you to live; Jeremy Hunt knows what the problems are – he just won’t acknowledge them. And he doesn’t have to – the media are run by right-wing Tory adherents. So here, for the benefit of those of you who had work to do and missed the debate, are a few of the salient points. Principal among them is the fact that ward beds are being ‘blocked’ – in other words, their current occupants are unable to move out, so new patients cannot move in. This is because the current occupants are frail elderly people with no support in place for them to live outside hospital. With no space on wards, accident and emergency departments have nowhere to put their new admissions, meaning they cannot free up their own beds. Health Secretary Jeremy Hunt had nothing to say about this. Andy Burnham, who opened proceedings, pointed out the huge increase in admissions to hospital accident and emergency departments – from a rise of 16,000 between 2007 and 2010 to “a staggering” 633,000 in the first three years of the Conservative-Liberal Democrat Coalition government. He said almost a million people have waited more than four hours for treatment in the last year, compared with 350,000 in his year as Health Secretary; the statement in the government amendment that waiting times have halved only relates to the time until an initial assessment – not total waiting time. 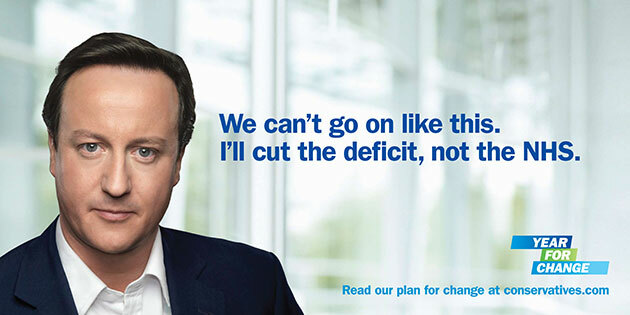 Hospital A and Es have missed the government’s targets in 44 of the last 52 weeks. Illnesses including hypothermia are on the rise, and the old Victorian ailments of rickets and scurvy are back, due to increased malnutrition. Hospitals are filling up with the frail elderly, who should never have ended up there or who cannot get the support needed to go home because of a £1.8 billion cut in adult social services and support. This, Mr Burnham said, was “the single most important underlying cause of the A and E crisis”; ward admissions cannot be made because the beds are full. The number of emergency admissions of pensioners has topped 500,000 for the first time. Ambulances have been held in queues outside A and E, unable to hand over patients to staff because it is full. That has left large swathes of the country — particularly in rural areas — without adequate ambulance cover. The government is downgrading A and E units across the country into GP-run clinics, while pretending that they are still to be used for accidents and emergencies – in the middle of the A and E crisis. People in England are reducing the number of drugs they are taking because they cannot afford to buy them. Families are choosing between eating, heating or other essentials, like prescriptions. And the health trust in Bournemouth wanted to merge with neighbouring Poole trust, but competition rules stopped the merger taking place. 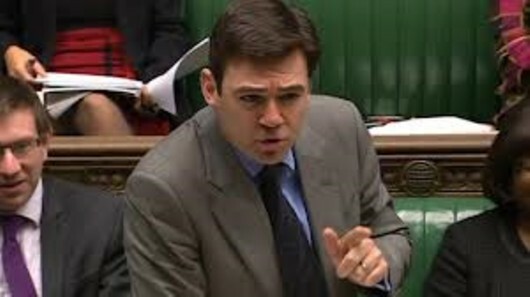 Mr Burnham demanded to know: “Since when have we allowed competition lawyers to call the shots instead of clinicians? The Government said that they were going to put GPs in charge. Instead, they have put the market in charge of these decisions and that is completely unjustifiable. The chief executive of Poole hospital said that it cost it more than £6 million in lawyers and paperwork and that without the merger the trust will now have an £8 million deficit. The response from current Health Secretary Jeremy Hunt needs to be examined carefully. He said more than 96 per cent of patients were seen within four hours – but this conforms with Mr Burnham’s remark; they were seen, but not treated. He tried to rubbish Mr Burnham’s remarks about scurvy by saying there had been only 26 admissions relating to scurvy since 2011 – but this misses the point. How many were there before 2011? This was an illness that had been eradicated in the UK – but is now returning due to Coalition policies that have forced people into malnutrition. He dodged the issue of competition rules strangling the NHS, by saying that these rules were in place before the Health and Social Care Act was passed. In that case, asked Mr Burnham, “Why did the government legislate?” No answer. As stated at the top of this article. he did not answer the question of the frail elderly blocking hospital beds at all. The vote was won by the government because it has the majority of MPs and can therefore have its own way in any division, unless the vote is free (unwhipped) or a major rebellion takes place among its own members. But anyone considering the difference between the Labour Party’s motion and the government’s amendment can see that there is a serious problem of perception going on here. Vox Political believes in a free and full health service for all – not just the rich. But the site’s health is in constant danger due to lack of funds! Zero hours, zero benefits, zero enthusiasm. Why would anyone take a job on these terms? 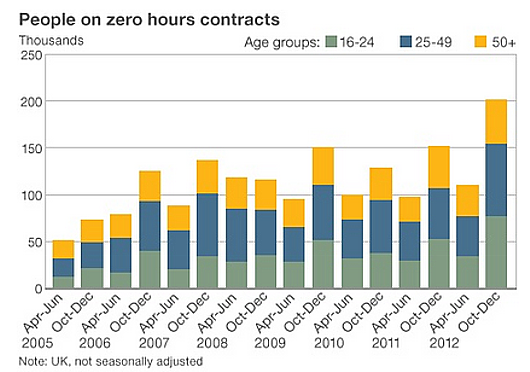 The rise of zero-hours contracts: These figures from the Office for National Statistics may be showing only one-fifth of the picture, according to new research. The rise of the zero-hours contract must be deeply disturbing to all those with an interest in fair employment practices. The arrangement is that an employee agrees to be available for work whenever required, but with no set number of hours or times of work specified. 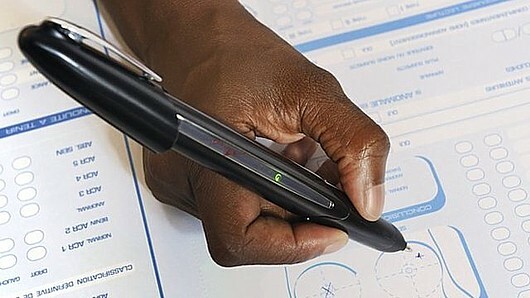 The employee is expected to be on-call at all times but is paid only for the number of hours that are actually worked. There appears to be no pension scheme, no sickness cover, no holiday entitlement – no rights other than those laid down by health and safety regulations (which the government is trying to ditch) and the National Minimum Wage Act (also under threat from the Conservative-led government). Also, the system is open to abuse by managers, who can use it to reward some employees (and the term is used in its loosest possible sense) with extra hours or punish others with fewer. And how, exactly, is an employee supposed to be engaged in, and enthusiastic about, a job where they are treated as a disposable commodity, to be picked up and thrown away whenever it is expedient? It seems possible that there is an argument in favour of zero-hours contracts – but only for employees who want to top-up another income stream; people who want occasional earnings and are flexible about when they work. The problem here is that it seems likely employers will want these people to work at times when it will be hard to meet the commitment. For anyone else – including people who are unemployed, penniless, and need the certainty of a properly-constituted employment contract with set hours, pay and conditions, there seems to be no point in taking up such a contract at all. Yet they are proliferating across the UK. Is the Department of Work and Pensions, through the Job Centre Plus network, forcing these conditions on jobseekers? Such a situation might be a huge boost to employment figures, but it would also explain why average pay has fallen so drastically in recent years and the economy has failed – so abjectly – to reignite. Today (Monday) it is being reported that more than a million UK workers are on zero-hours contracts – four times official estimates. The BBC is reporting that 14 per cent of these could not earn a basic standard of living. If Job Centres are forcing people into these jobs, via the sanctions regime, this is scandalous. Perhaps it is permitted by law, but this would only mean that the government should have a duty to ensure that jobs which are taken under the threat of sanction are capable of providing this basic standard. Worse still for the government is the allegation, in research by the Chartered Institute of Personnel and Development, that public sector firms – those with government contracts – are more likely to use zero-hours contracts than private companies. This is particularly prevalent in education and healthcare. And how is the benefits system affected by these contracts? CIPD chief executive Peter Cheese told the BBC: “Zero-hours contracts cannot be used simply to avoid an employer’s responsibilities to its employees.” But isn’t that exactly how they are being used? Don’t the number of people saying they can’t make ends meet, and the wider state of the economy, indicate exactly that? Unison general secretary Dave Prentis seems to have got it right when he said: “The vast majority of workers are only on these contracts because they have no choice. They may give flexibility to a few, but the balance of power favours the employers and makes it hard for workers to complain. Business secretary Vince Cable has ordered a review of the zero-hours contracts system, to take place over the summer. He played down fears of abuse, saying evidence was “anecdotal” and adding that “it’s important our workforce remains flexible” (in employment terms, this means all the power is with the employer, while the actual worker has to adapt to the circumstances foisted upon them). Shadow Health Secretary Andy Burnham called for zero-hours contracts to be banned, back in April this year. It seems clear that they are unsafe and open to abuse. But would an all-out ban be appropriate? Would it not be wiser for Job Centres to continue advertising them, but with no obligation to recommend them to jobseekers (and certainly no requirement to force anyone into applying for them), and with a requirement to warn anyone considering taking up such a position about the possibility that they will not be able to survive on the pay provided? This might go some way to redressing the balance of power with employers; without the coercive power of the government supporting these contracts, they might try more traditional (and fairer) employment models. This is a subject worth more examination. What are your thoughts? You know that things have come to a pretty pass when Labour Party supporters turn against the poor. This has happened at a time when the number of people with money to spare has dropped dramatically, meaning more of our people have become poor. The change may reasonably be blamed on Labour’s adherence to Liam Byrne’s diabolical welfare policy, that aims to continue where the Conservatives and Liberal Democrats leave off – demonising people who have done nothing wrong, unless you count illness, disability and unemployment as a personal choice. It suggests that people of good heart are leaving the party in large numbers, allowing those who are left to turn it into what its critics have claimed it to be for a considerable time now: Tory Lite. The change is identified in a report by the Joseph Rowntree Foundation, that showed 47 per cent of Labour supporters surveyed in 2011 thought that, if benefits were less generous, people would learn to support themselves – up from 17 per cent in 1987. The fact of the matter, of course, is that benefits are much less generous now than they were in the 1980s. In 1987, unemployment benefits totalled around 20 per cent of the average weekly wage; now they come to around 10 per cent – around half of what they were. But Labour supporters – Labour! – say they are too generous. So those of us who are interested in the facts may be looking forward to hard times. It’s still better than being a fair-weather friend of social justice – only interested in the good of our fellows if it doesn’t impact on us. But it is already impacting on everybody! The Office for National Statistics, using Organisation for Economic Co-operation and Development (OECD) figures, has reported that the UK has plummeted down the international league table of economic well-being, from fifth to 12th within the six years up to 2011. On a separate labour-market ranking, the country fell even further, dropping 12 places. In the labour market league table it ranked 21st out of 34 countries. Top of the league was Norway, which has just three per cent unemployment and, as I understand it, a thriving welfare state. Think about that. The ONS noted changes to taxes and benefits as key factors in the drop. This morning, one of Vox‘s longest-serving commentators reported that there is a change among the people around him; that those who argued against his criticism of the Conservative-led government are now turning to the Left. If so, it seems they are not turning to Labour. Recently we have witnessed a movement to form a new political movement, representing socialist views but untarnished by the memory of New Labour’s 13 years of Neoliberal mistakes. Several contenders have cropped up but none of them will carry any weight at the next general election – instead, all they are likely to do is sap enough votes from Labour to let the Conservatives back into office again. That would be a calamity for the country. No, the best thing to do is to take Labour back for the people it was meant to serve. First step in that direction must be to consign Liam Byrne and his vile mess of a welfare policy to the back benches, and design a new plan, attacking the causes of unemployment and workplace sickness and disability, rather than their symptoms. This is simple logic. And we need to get people into the shadow cabinet who have actually held proper jobs. 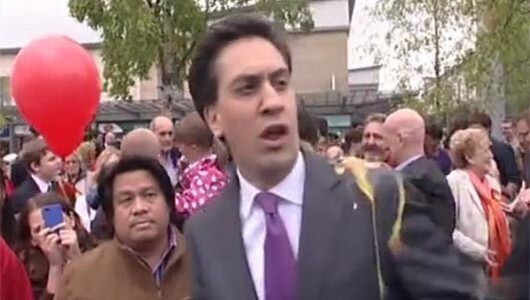 Look at Ed Miliband: Oxford graduate – short media career – Westminster job for Labour. Ed Balls: Oxford graduate (Politics, Philosophy and Economics) – short media career – Westminster job for Labour. Douglas Alexander: University graduate – six-month career as a solicitor – Westminster. Yvette Cooper: Oxford (Politics, Philosophy and Economics) – Westminster researcher job for Labour. Andy Burnham: Cambridge – researcher for Tessa Jowell. Many of these also went to Harvard. Liam Byrne, the demon of the Labour Party: University (Politics and Modern History at Manchester) – Harvard – then work for a multinational consulting firm (Accenture) and then the Rothschild merchant bankers(!) before going to Labour to help lead its ‘New Labour’ business campaign. This man has nothing whatsoever to do with real working people. When everybody in a particular group – in business, politics, socially, whatever – is from the same background, they tend to agree about key subjects. From the above group we can see that many of the Labour front bench have followed exactly the same career path. What do they know about working-class people? At least two of them – Ed Balls and Yvette Cooper, no less – graduated from the same Oxford degree course as David Cameron, the comedy Prime Minister. No wonder people are having a hard time distinguishing between the two main parties and want a left-wing alternative. It’s time for Labour to grow up and realise it needs to change. It must come back to its voting base and start to represent the people of the UK once again – rather than Oxford, Cambridge and Harvard graduates. If Ed Miliband wants to keep his position, he needs to clear out his shadow cabinet and get some fresh thinkers in. Someone recently mentioned Abraham Lincoln’s ‘cabinet of enemies’, and the fact that it was good for him to have opposing views at the heart of his government. Until we get that in the Labour Party, maybe we should agree that the ‘Tory Lite’ criticisms are accurate. What are you going to do about it, Labour?